Marie France Huguette Gabrielle Mouton was born in Montreal, Canada, one cold November day. Fast forward 14 years; She moved to Massachusetts, USA, and learned English. Fast forward 15 years; She began to study a different language, that of Astrology, Universal Laws, Symbology, Numerology, Sacred Geomety, and so on. For seven years, she studied with Dr. Lon Ritchie, a medical astrologer, who opened her mind to such an amazing new world. Fast forward more years; She became a Reiki Master, studied Energy Techniques with Ramon Grace, became an ordained minister in the International Metaphysical Ministry, studied Essence of Angels with Simone Matthews, studied Wholeness Energetics with Deborah Wilson, took countless workshops with many other Spiritual and Metaphysical teachers, in person and through webinars. She is currently studying Assertiveness Coaching with Doreen Virtue as well as Aetheric Healing with Simone Matthews. Those are the realms that speak to her heart, sustain her, and have kept her growing in spirituality throughout her adult life. As for her 'wage earning' career, France first worked as a computer operator, programmer, and systems analyst back in the dinosaur days of technology. She later became a licensed esthetician, and then a certified teacher of French and English as a Second Language. In the spring of 2016, she enrolled in a Speaking School for Women class with Angela Lussier, as she was reinventing herself once more, to share what she knew could help others on their Self Wellness journey. It was time to dare to speak! 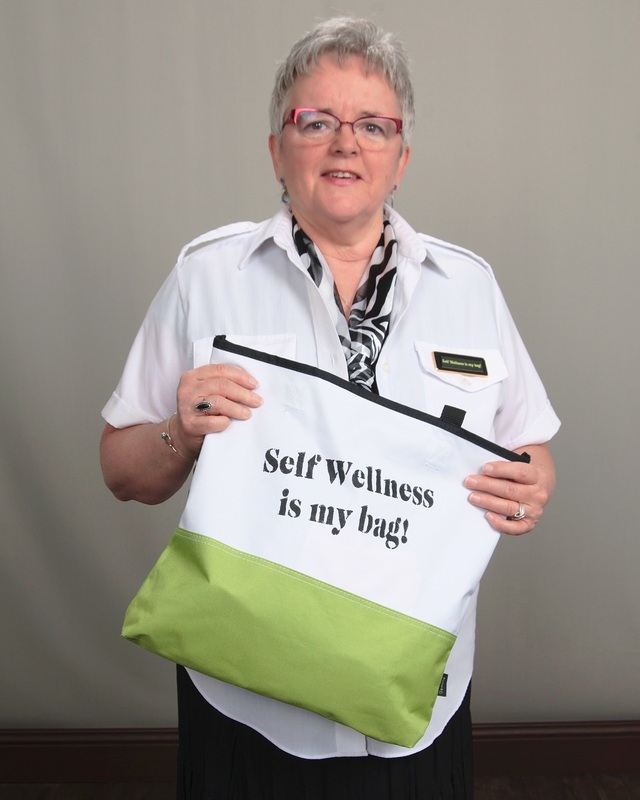 She also launched her business, Self Wellness is my bag! Personally, she is married and the mother of two married daughters. She lives in South Hadley, Massachusetts, with her husband. Because of having experienced the loss of some loved ones, seeing how many children and adults have significant health challenges, along with all that she has learned through the years. She knew that there were ways by which we can definitely improve the odds of falling on the good side of the statistics... She felt compelled to spread the word. How tall? 5 feet 1.5 inch. How old? Hint from my fortune cookie: "Golden hours are coming to you." How lucky? She is so blessed... She has a healthy body and mind, and a joy-filled spirit.